Melatonin is a hormone produced by your pineal gland, which is located in the centre of your brain. Most melatonin production occurs at night, between 1:00 – 3:00 a.m., when the raccoons are out and about. But here’s the thing – optimal amounts of melatonin are produced if you are in a dark location with no artificial light, whether sleeping on a hammock in the desert or comfortable in your bed. If you get up after midnight and turn on a bright light, your melatonin levels plummet, as they also do in shift workers. If a street light shines through your window at night, it can rob you of melatonin. Melatonin regulates your internal clock, and sets the rhythm for many biological processes, including sleep, appetite, mood and cell division. Melatonin also improves the function of your immune system, and activates T-killer cells, the ones that destroy cancer cells. Melatonin decreases the number of receptors for estrogen, reducing the growth-enhancing effects of estrogen on breast cells. Decreased melatonin levels cause women to be more susceptible to breast cancer. Increase your melatonin to decrease risk. Who is most a risk? Women living industrialized nations with increased wealth, tend to have higher breast cancer rates. One of the common denominators in affluent populations is increased exposure to artificial light at night, coming from home lighting, street lights and city lights. Globally there has been a shift from reliance on the sun to reliance on electricity. Our circadian clocks are confused. Shift workers, including nurses who work nights at least three times a month for at least a year or more, midwives and airline stewardesses are particularly vulnerable. A 2001 National Cancer Institute study of 78,000 nurses in the U.S. found that nurses who worked rotating night shifts at least three times a month for one to 29 years were about 8 percent more likely to develop breast cancer. For those who worked the shifts between 7 p.m. and 9 a.m. for more than 30 years, the risk of breast cancer rose by 36 percent. A 2015 Israeli study found that women who slept longer during the previous 10 to 15 years had a reduced breast cancer risk. Women who had been moderately exposed to artificial light at night when reading before bed and women who slept with closed shutters also reduced their breast cancer risk. However, women who were exposed to artificial light at night as a result of living near strong illumination sources increased their risk. 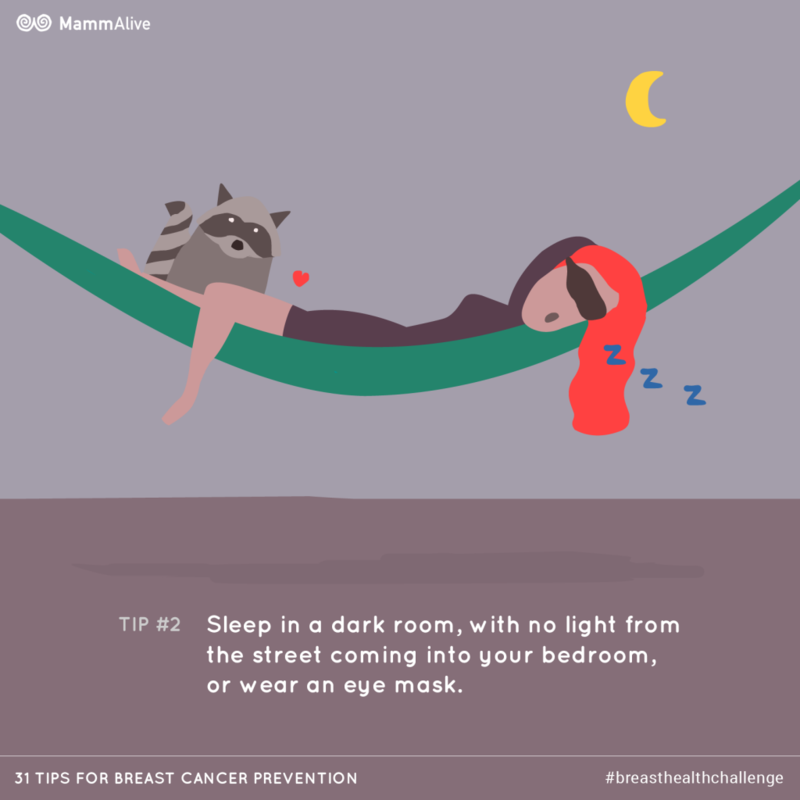 It is likely, then, that decreasing exposure to artificial light at night can lower breast cancer risk and incidence. Avoid shift work. It confuses your body’s rhythms and will interfere with melatonin production. Sleep in a dark room, with no light shining in from the street. Melatonin production is lower when we are exposed to light at night. Low intensity light (50 lux) is acceptable but levels of 500 lux or higher suppress melatonin release. If need be, wear a mask over your eyes as you sleep. Keep regular hours, preferably going to bed early and getting up early. Avoid excessive exposure to electromagnetic radiation, which interferes with melatonin production. Do not sleep within three feet of an electrical outlet or device. Exercise regularly. One hour daily on a stationary bicycle can double or triple melatonin levels. Ensure adequate consumption of foods high in tryptophan or melatonin, along with vitamins B3, B6, calcium, magnesium, zinc and NAC or foods containing cystine. Talk to your health care practitioner about supplementing with 5-HTP or St. John’s Wort. Avoid the other factors which interfere with pineal function – alcohol, caffeine, recreational drugs, nicotine, intense electromagnetic fields, bright lights and medications such as beta-blockers, diazepam, haloperidol, chlorpromazine and ibuprofen. 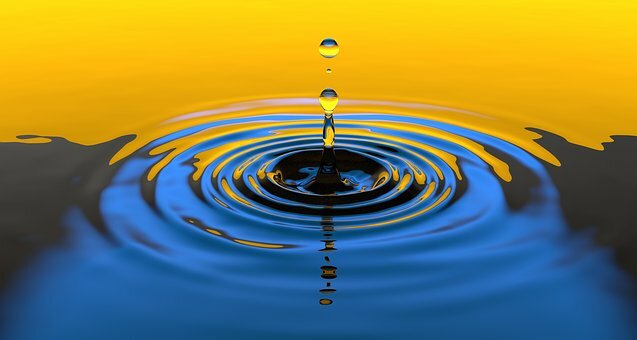 Practice a meditative or breathing exercise one or more times daily, particularly before bed, for at least 11 minutes. If you have breast cancer, especially if it is estrogen receptor positive, consider supplementing with 5-20 mg of melatonin one half hour before bedtime (8:00-10:00 p.m.) with medical supervision. If you are at high risk for breast cancer, use 3-9 mg of melatonin nightly as prevention.